The weather turned quite Autumnal yesterday, so the crochet hook and knitting needles came out. This time of year is perfect for crafters, cold nights in with a few balls of yarn, knitting needles, crochet hooks and just go crazy! 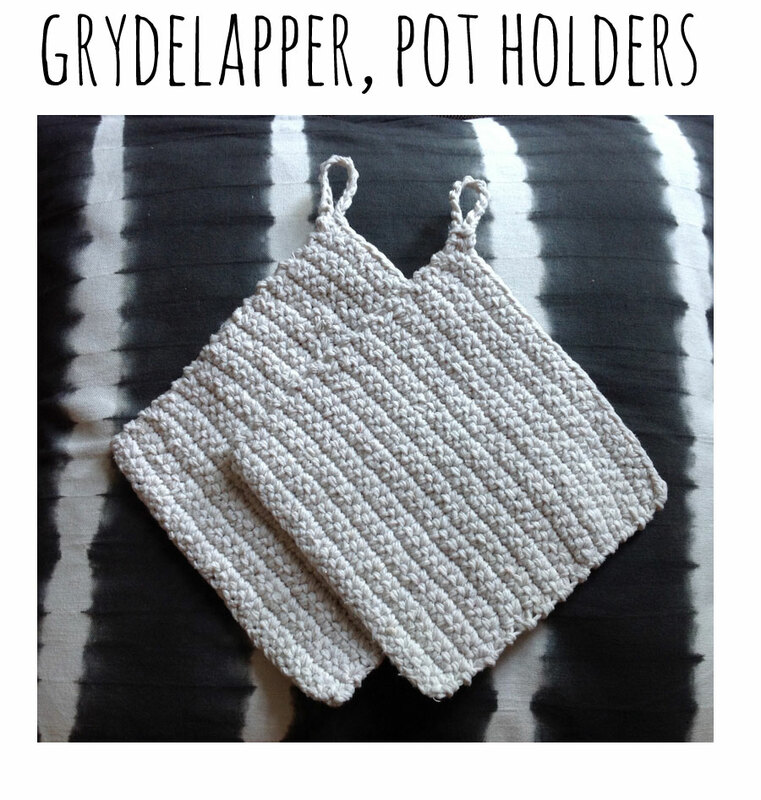 So for the start of this crafty season I made these crocheted pot holders. My Mormor (grandma) always made her own and I’ve taken this on as tradition. I still have one of Mormor’s grydelapper’s (danish for pot holder), I wish I could have her crochet skills, she was brilliant at it. Normally I would crochet two squares and join them together but last night I tried a different technique. 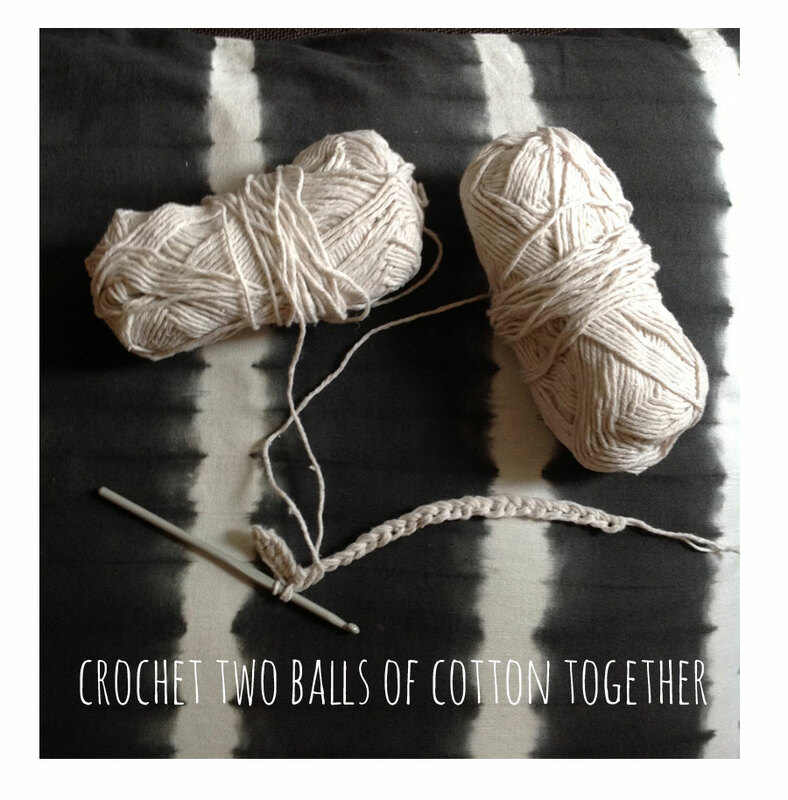 Using two balls of cotton, I crocheted them together to make one thick square. It’s quite a tight weave/knit/crochet, whatever you wanna call it. I’m a little bit of a freestyle crocheter, I really hate patterns but do whatever suits you. 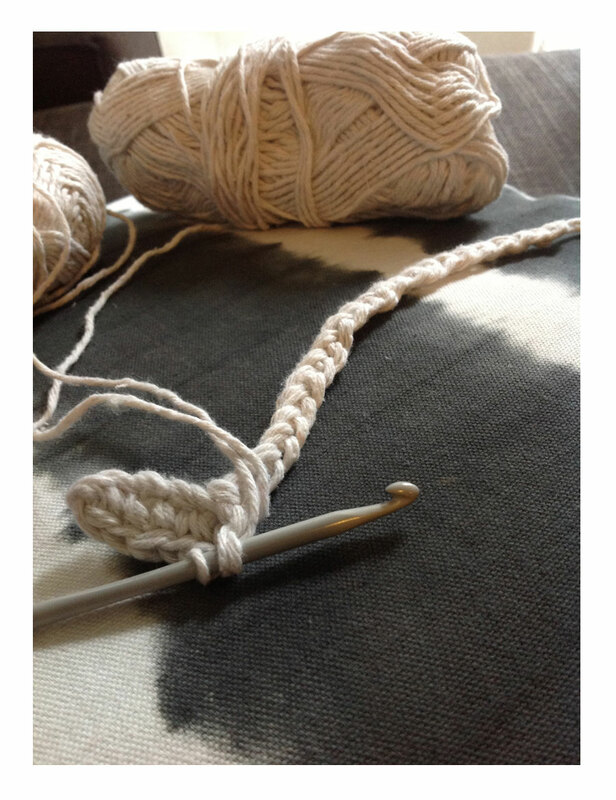 I started crocheting the initial chain length about 20-22 , slightly longer than my hand. I used a 4.5 hook and raw cotton yarn suitable for making dish cloths. Then I continued to crochet the square, finally finishing with a loop. Again I don’t follow patterns so I can’t really give you a technical step by step guide. 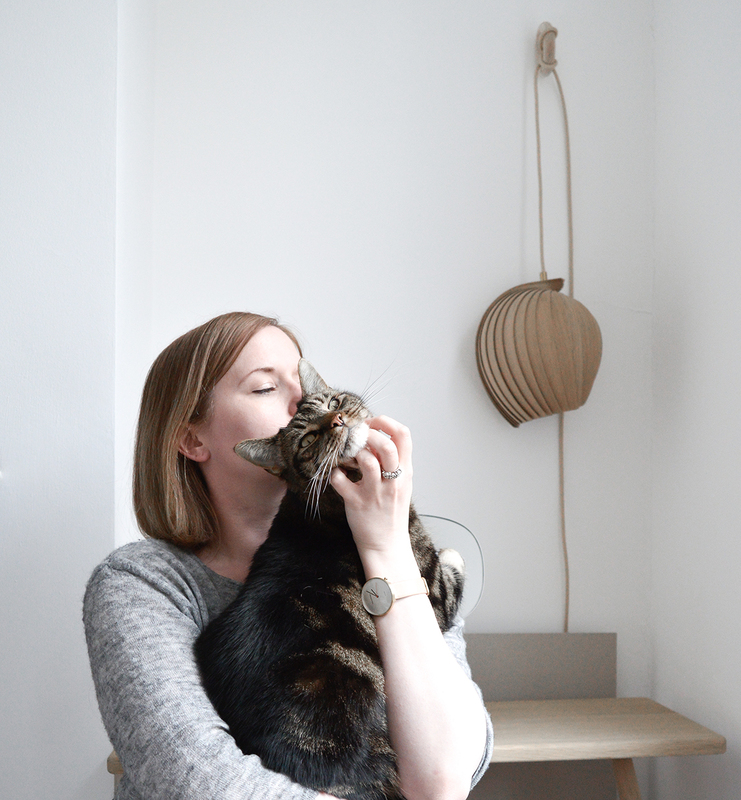 If you can’t be bothered to make them then you can buy these super cool knitted pan holders from Ferm Living (if anyone can find me yarn similar to this I’d be very happy! ).